Discover the neighbourhood in Prince George that fits you. Almost a city of its own, the Austin East and West neighbourhoods are formed around shopping, restaurants and amenities. These neighbourhoods are located next to the Hart Highlands neighbourhood near the northern boundary of Prince George, approximately 20 minutes from downtown. These family oriented neighbourhoods host many dances and events throughout the year; a country theme is often prevalent. This area contains everything from well-kept trailer parks to brand new subdivisions. Approximately ten minutes from downtown and in close proximity to the Prince George International Airport, residents of Blackburn enjoy country living with the benefit of access to city services. 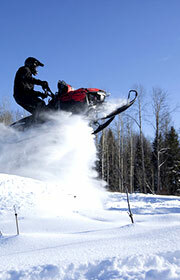 Houses are built on large lots or acreages and surrounded by lakes and trails. 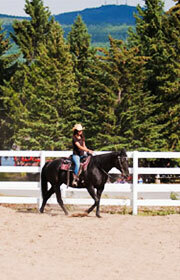 Enjoy horseback riding, hobby farms and recreational vehicles just a few steps from your backyard. Blackburn Hall is host to many community events throughout the year. Located at the northern boundary of Prince George, Chief Lake is a rural area suited to people who enjoy large, private properties in a forested or farmland setting. Beautiful scenery surrounds the Chief Lake area which is inter-linked by recreational trails that are perfect for hikers, bikers and motorists alike. Located in the western end of Prince George, College Heights is home to many large box stores, banks, restaurants, pubs, parks, trails and residential areas. 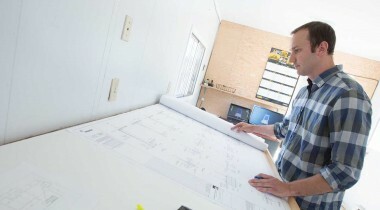 College Heights was first developed in the 1950s and has continued to undergo significant development recent decades. This neighbourhood features some of the newest developments in the city and is in close proximity to the University of Northern BC. This area continues to see new residential, commercial and retail development. Overlooking many communities within Prince George, houses on Cranbrook Hill are often large with sprawling properties. 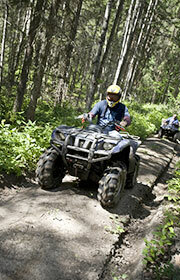 A beautiful location that features 25 kilometres of multi-use trails that run through Forests for the World. 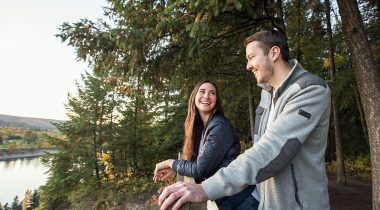 Some of Prince George’s most popular trails are located on the Cranbrook Hill Greenway and include Pidherny for mountain biking and Otway for cross country skiing, snowshoeing and mountain biking. 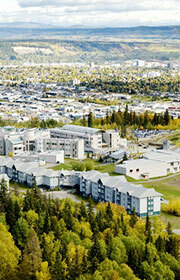 The University of Northern BC is also located on Cranbrook Hill. An historic area located in the middle of Prince George, the Crescents contain a mix of older homes, many of which were constructed in the first half of the 1900s and have beautiful heritage appeal. 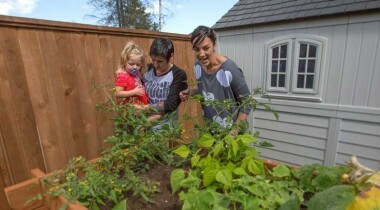 Some newer homes and duplexes are interspersed throughout the neighbourhood, as well as multiple family housing, full care seniors housing and apartment buildings. 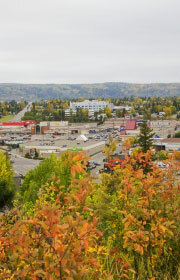 The neighbourhood is close to shopping, restaurants and entertainment and is adjacent to the University Hospital of Northern BC. 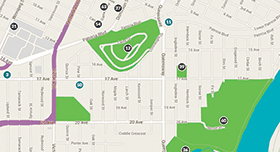 Within the Crescents neighbourhood is École Duchess Park Secondary, which is the French Immersion and Francophone high school for Prince George and features an award winning playground, bike park and dog park. 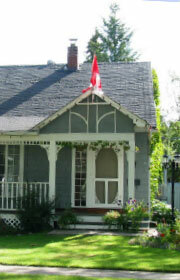 Heritage homes, apartments and low cost housing can be found in the downtown core. 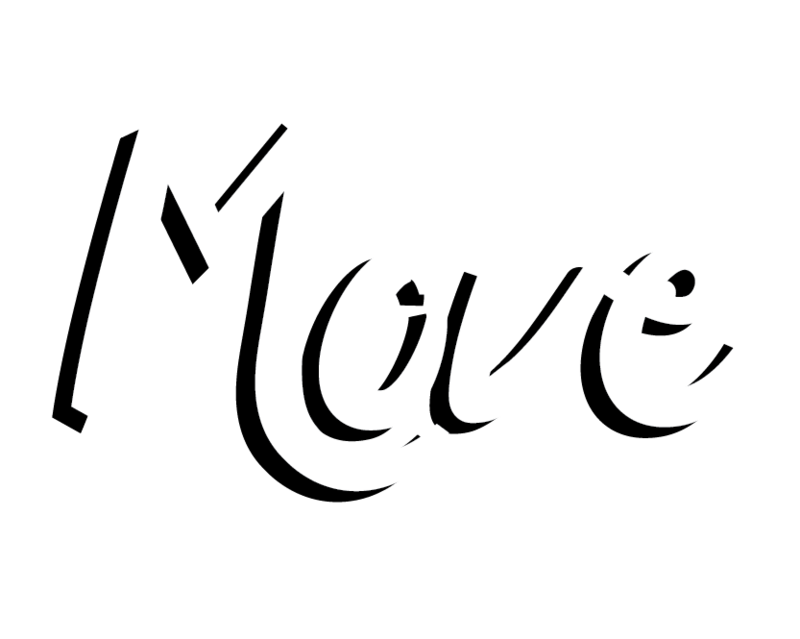 Enjoy the locally owned cafes, restaurants, shops, pubs and night clubs that are are dotted around downtown, as well as the convenience of walking to work and the easy access to many bus routes. Centrally located in Prince George, this area contains everything from low cost apartments to nicely renovated homes built in the 1950s. 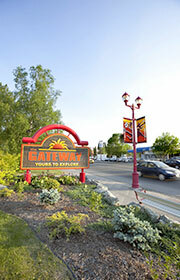 Enjoy easy access to shopping, amenities, entertainment and healthcare in this neighbourhood. 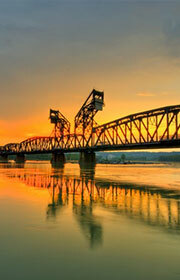 A lovely neighbourhood located on the banks of the Fraser River. It’s located across the highway from big box stores including Superstore, Costco, Future Shop, Winners and Jysk, as well as many restaurants and coffee shops. 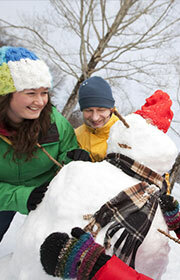 A tight-knit, family oriented community that features many amenities. 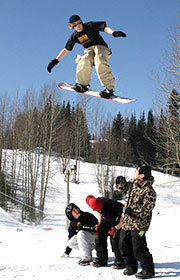 Skiiers and snowboarders can spend winter evenings on the Hart Highlands Ski Hill that is located in the centre of the neighbourhood. Equipped with two t-bars and a rope tow, this small hill is a popular location for beginners or for those looking for some close and convenient snow packed fun. If you are a golfer, look at the possibility of living on the Aberdeen Glen Golf Course, a world class 18-hole pristine golf course. This is an established neighbourhood that has recently been developed to include new townhouses and a seniors housing complex. 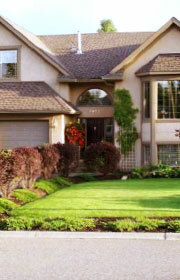 This is a great area for those looking to purchase a starter home or to downsize. 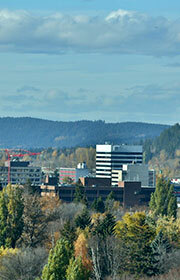 Centrally located, all of the amenities of Prince George are within a ten minute drive. 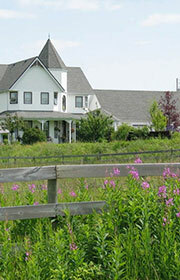 On the bank of the Fraser River, Lansdowne features a mix of houses and is home to the Sunrise Valley Mobile Home Park. If you are looking to own a very reasonably priced home with a view of the river, this may be the neighbourhood for you. Bordered by the Fraser River, the Lheidli T’enneh Memorial Park and Connaught Hill Park, this established neighbourhood is one of the originals in Prince George. 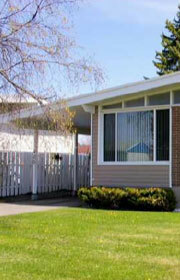 The neighbourhood consists of low cost rental housing, condos, and older houses. Areas closer to the Lheidli T’enneh Memorial park are known for character homes, many of which have been renovated and feature well-kept yards with trees overhanging the streets. Conveniently located near downtown, all amenities are within walking or cycling distance. 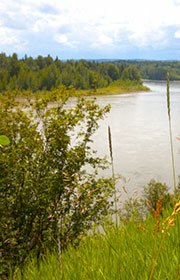 A beautiful neighbourhood located on the banks of the Nechako River. 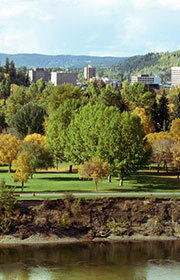 This neighbourhood is known for luxurious executive homes and majestic views of the river. It is also home to the new Nechako View subdivision development, which offers people the chance to buy a luxury lot and craft their dream home. Residents of Prince George test their fitness level by running or hiking up the naturally formed cutbanks that line the Nechako River. When you get to the top, enjoy the beautiful view and swing on the hidden Tarzan swing as a reward! An added bonus is easy access to British Columbia’s most northern winery: The Northern Lights Estate Winery. 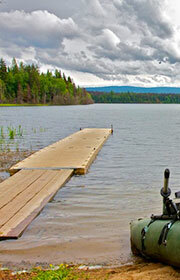 In northeast Prince George, Old Summit Lake is a rural area close to Hart Highlands shopping. An abundance of trails in the area and a culture for motor sports makes Old Summit Lake an ideal location for the outdoor recreationalist. 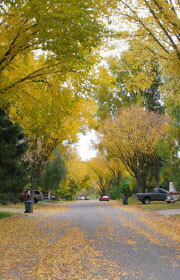 A nicely maintained neighborhood that is easily accessible and is bordered by a trail system connecting the neighbourhood to the downtown and shopping along Highway 16 West. 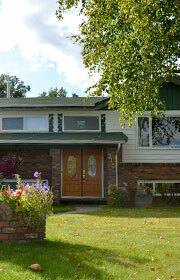 A centrally located family oriented neighbourhood that features quiet streets and nicely maintained houses and yards. It’s in close proximity to the College of New Caledonia, Starbucks, Tim Horton’s, grocery stores, Spruceland Mall and several chain and family owned restaurants. Located on the borders of Lheidli T’enneh Memorial Park, which is one of the more popular community park destinations for families, groups and sightseers in Prince George. Lheidli T’enneh Memorial Park is the city’s largest park covering over 65 acres of well-maintained lawns crisscrossed by pathways leading to viewing benches looking out over the Fraser River, flower gardens, a First Nation’s cemetery, and a children’s playground and water park. This park is host to many community events including Yoga in the Park, Canada Day celebrations and the Prince George Symphony Orchestra’s annual Pops in the Park performance. 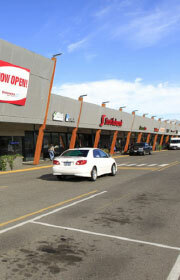 As the name suggests, this neighbourhood is located southwest of downtown and borders College Heights. This neighbourhood provides easy access to shopping, entertainment and amenities such as banks and dentists, and features everything from starter homes to exclusive estates. University Heights is a new housing development in Prince George that has been designed for comfortable family living amidst a forested setting. The first two subdivisions, The Ridge and Parkview, feature quality-built, craftsman-style single family homes just a short walk from the University of Northern BC. Amenities and shopping are mere minutes down the road. Nature trails and parks surround the neighborhood, offering residents a serene, park-like setting in which to walk, bike, or jog. 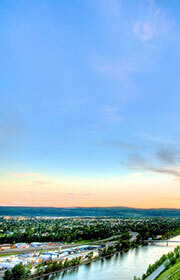 The community’s sloping, eastern-facing location provides lots of sunshine throughout the day. Nicely maintained homes from the 50s, 60s and 70s make up this area which is best known for ‘Candy Cane Lane’. 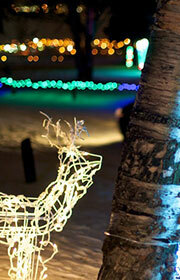 In the winter, residents of Prince George flock to this neighbourhood to view the bright and colourful light displays that decorate the houses and crisscross the streets. An older easily accessible neighbourhood located across from the Parkwood Place shopping centre which includes the Famous Players movie theatre, Hudson Bay, Staples, Save-on-Foods, London Drugs, Pizza Hut, Dollar Store and more. 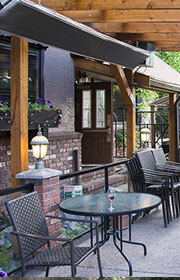 It is also within walking distance of downtown. This area contains a mix of houses and rental condos. VLA stands for the Veterans’ Land Act, and is a neighbourhood that was built to welcome home soldiers returning from World War II. The VLA is in close proximity to downtown Prince George and house prices are close to half that of the average cost of a home in the city. A well-established area that has been lovingly cared for. Many of the older houses in this neighbourhood have been renovated and feature well-kept yards that are home to young families.The central location of the West Bowl makes for easy living; enjoy easy access to bus routes or walk to the grocery stores, shopping, restaurants and entertainment of your choice. Located en route to the University of Northern BC, a considerable number of Prince George apartment complexes and rental homes are located in this area.